Sneaky Peeks Video #6: Jack Gantos discusses . . . Wild Things! 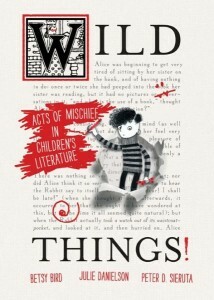 – WILD THINGS! When we asked author Jack Gantos to send us a film of himself talking about hidden elements in his latest book The Key That Swallowed Joey Pigza (on sale September 2nd) the man did us one better. He sat down and proceeded to deliver a fantastic testimonial in favor of the book. We could not have asked for anything nicer than this. Thank you, Jack! 2 Responses to "Sneaky Peeks Video #6: Jack Gantos discusses . . . Wild Things!" I want to join the National Conference of Childrens’ Book Insiders! Nice one, Mr. Gantos. Can’t wait to read it. Even though I have bought my copy today, after watching Gantos’ testimonial I feel compelled to go and buy another.